In his latest report (out this week), economist John Williams at Shadowstats.com says, “A renewed downturn, however, now appears to have taken hold, with fourth-quarter 2010 housing starts falling at an annualized pace of 29.9% versus an 8.8% annualized decline in the second quarter. This is bad news for broad economic activity, for the banking industry and for the systemic solvency crisis.” Williams’ work is clearly pointing to a further downturn and increased chances of a “systemic solvency crisis.” In layman’s terms, the most recent housing data is pointing to another financial meltdown and more Fed money printing to try to stop it. We are off more than 75% in housing starts from the 2005-2006 high watermark. What has been going on the last couple of years is what Williams calls “bottom bouncing.” Please keep in mind, real estate was still bottom bouncing even though the U.S. government was paying people to buy houses through the “Home Buyer Tax Credit.” Buyers could receive a kickback of up to $8,000 for signing a residential real estate deal. I look for this government giveaway program to make an encore appearance in 2011 because, according to Williams, housing will get worse–NOT recover. “Although the pattern of housing starts generally remains one of bottom-bouncing at a historically low-level plateau of activity, as seen over the last 24 months, the recent activity has started to slow anew, meaningfully. Even-weaker monthly numbers remain likely in the months ahead,” said Williams. Below, you can see what the so-called recovery looks like in housing starts on a 6 year graph. Does this look like a “recovery”? Let’s all hope the real estate slump gets no worse than “bottom bouncing” and doesn’t turn into a full blown financial meltdown. A stable economy is better than a growing economy, unless one is used to making six or seven figures per year and requires growth to justify their salary. It is my understanding that due to our system of fiat currency which is “loaned” to the banks and to the government at interest- Growth is required just to maintain economic stability. Greg, as some of your blog’s prior responses have outlined, the components that make up building a new house now cost more or almost as much than the selling value (price) at completion, a no-win economic condition for small builders. This may help the slid of existing homes but can’t energize the building industry for new home construction upswing. Also, the appraisal of the new home will be hard pressed to be valued at its asking price because one block away is a similar existing home 150K less. This whole housing market, both new and existing, is tanking and will continue to do so for a vast array of reasons, most likely, as your article brought out,for loss of good jobs. The sooner the American wake up and realize the model we are now in is the “new norm” the better off they will be so that they can stop dreaming and help themselves survive these new normal conditions. This is some good analysis. Thank you for adding to this post. Just goes to show you..I am in the middle of purching a investment home to help a friend and his family. Home is a FHA home..There are so many loops to jump thru..My friend (old Amry buddy) is going thru a rough patch..lost his job do to downsizing..His wife’s Health care insurance went up..no pay raise for her (2nd year without) and yet they could not get approved for gov’t 3% down payment..So here I come to assist and they tell me 20% down payment because it is a investment property..What is this county coming to..I could not go VA because I do not live there..rules upon rules..and all we want to do is buy a house so a US vet’s family can make it a home.. Thank you Dr. Houston for sharing this here. You are a good man for helping a friend. A housing recovery is simply not going to happen anytime in the near future, in fact it is going to get significantly worse. To get a real picture the solution is simple, don’t listen to MSM and seek out Alternative Media, like this website. The people have slowly come around over the last several years and started putting blame where it belongs – on our policy makers, benevolent government servants, and the corporate leaders who hide behind the veil of a free market and an open society while doing everything in their power to undermine them. See link below from Zillow: The decline in housing prices today exceeds what was seen in the great depression. I’ve always maintained that owning a home today is not like owning a home fourty years ago. fourty years ago, America had union jobs with guaranteed life time pensions and medical benefits. If you bought a home, you’d pretty much be assured of being able to pay off your mortgage (eventually) because your job was pretty safe for life. This is how so many people I know who are in their late 50’s and 60’s either have paid off homes or were able to inherit paid off homes from their parents (from that WW2 generation). Today, with no job security, it’s become a different ball game. People in their 30’s and 40’s (who own homes) are in a much riskier position. If you get laid off, you can’t keep up with those mortgage payments until you find another job, but even then, wages are stagnant and you still may not be able to do it if your new job pays less. I know someone who just got laid off and they said to me that they can’t afford to make less than $80K a year because they wouldn’t be able to service their mortgage on a salary that pays less than that! So, I asked her: What if you get a job that pays $60K? She said she wouldn’t take it and she’d wait for one that offered the right pay, but how long can you wait? unemployment only pays $625 a week. This is the dilemma facing many middle-class Americans. I think you and most of the readers here will agree that unemployment is at 22% – 24%. Even if only a few of the unemployed starts a business, it will take that business a while to grow. Those in the private sector who are working are not thinking of buying a home, they’re piling up cash. Very little, if any, disposable income here. Ah, but our wise ruler, King Obama, has the formula. He has given raises to all in the Federal “work” force. Where I live (western Puget Sound area of Washington state), which is heavily infested with these persons; they are buying expensive cars, large screen televisions, and expensive homes. There are no housing starts, oh yawn, the $500,000 hovel will have to do! But, as I’ve written to you before, I would not look to these persons as the winch to pull the economy out of the mire, because the Federal “work” force is in a bubble. This year, ten states may have to declare bankruptcy. True, they comprise one-fifth of this country, but others are hovering around bankruptcy as well. Also, it means ten less states will be sending in their tribute to D.C. It means that many “workers” with the states will be getting, at best, a lead parachute at retirement. It also means more layoffs. In other words, less taxpayers. With yet more people struggling to make ends meet, of having to try to strike that balance of how to pay for such luxuries as food and shelter, they will also have another worry: how to pay for their “fair share” of confiscatory taxes. With the IRS hounding the newly-minted poor for funds, I would not worry about a real estate “bounce,” or any other sort of bounce. I would listen for when the guns start to shoot. I was afraid of that. Thank you. “Systemic solvency crises” is one of the most frightening terms I have seen to describe our dire economic situation. It sounds like a house of cards ready to fall. In a future article, please detail what is meant by this and the potential effects on banks, muni bonds, and the dollar. In particular, what are the most likely triggers to a solvency crises that we should be looking for when reading the news. Check Monday the 24th of Jan. and I’ll have more on this. Art, Barack Obama’s administration advocates the bulldozing of “blighted” houses that have not been kept up. Does anyone see the irony of bulldozing one house so that another one can be built nearby? Clearly something is wrong with an economic system that requires growth to succeed while also agreeing that not over using natural resources is a priority as well. Great article Greg. Used to be a recovery had to have job creation. Since the “dot-com bust” they came with the so-called “jobless recovery” where their only consideration is now the stock market and all other factors be damned. Soon perhaps they will see those other factors are perhaps more important and better indicators than their electronically manipulated market. In fact, these now ignored factors will likely cause a severe market correction (crash) in the very near future, like second half 2011. Thanks Woody188 for the on-target comment! The well is dry …. The majority of us are tapped out. Now the healthcare bubble will soon burst just like the housing bubble! then “pop” oh my mistake “correction” Very funny Mitch! Love it. As owner of a small business in Missouri, I can attest to the fact that there is no economic recovery. Unfortunately, my business is directly related to housing. Personally, I do not see housing markets improving, and until housing improves, there can be no recovery. The banksters have totally screwed the RMBS industry. 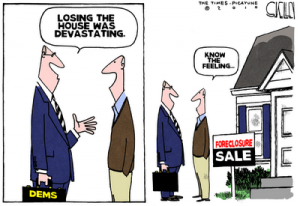 Title to properties and foreclosures are in disarray. IMHO, the entire housing/mortgage industry is going to collapse completely. That’s when the “fun” really begins! Alessandro, I see the irony of it, yes in dee dee! I see the future of new housing as a bust. Why not fix up the old neighborhood instead of tearing it down? Europe with all of its problems never bought into urban sprawl, keeping their properties up for centuries; Europe is screwed up to but not like the housing issues of America. Builders get paid fixing them and keeping them in good repair instead of building 700 new ones all alike and all touching each other. Maybe its time to consider a new train of thought, lets have a renaissance for what we have allready build. Who knows, but what I can predict is that the housing bubble will not come back. Maybe its time to buy a home and not an investment; come home American to your roots. The white shoe boys cannot operate as business as usual if we don’t participate and neither can our Government. More building means more taxes which means more bubbles, and, of course, more bull**** from the MSM. I’m always hearing people, including yourself, talk about housing, Banking ethics or lack of, Government spending, etc. and the fact that all these things will have to be corrected somehow in order for the economy to get back on track. The problem is, none of these things matter if the root cause is not addressed. GAS prices triggered the whole fiasco. Every since Katrina hit gas prices have gone through the roof. It depletted peoples pocket books in such a way they were unable to pay there mortgages, and continues too do so. It blows me away that the prices don’t get the attention they deserve. Either gas prices will have too get back below $2 a gallon or peoples wages will have too increase considerably to cover the difference. If niether happen things are just going to get worse. nm says………”and unemployment only pays $625 a week “! Sorry, but this is what is wrong with America! When is $625 net chump change? Thats $32,500 for the year before deductions! That could easy translate to a $50,000 gross. Most Americans that were not in a union or on the public dole would salivate for $625 net a week. In 90% of the states the maximum unemployment benefit would be 30% less than that including New York that sets a mx at $405 a week. Get real! Poeple still don’t get it! I see from your link article that Florida has a 21% unoccupied housing stat to go with a unemployment rate of 12% so that might be closer to 25% unemployment in real terms. In depressed states like this housing prices would have to fall an additional 20% to even be close to reality. When replacement cost is double asking price you might be getting a fair deal and that is how bad it is in AZ, MI, FL & GA. Thank you George for your comment and support! Greg, please try to find data on attitudes about housing… like what they were many years ago vs. what the attitudes are today. Many years ago people invested in their dwellings. Not so, recently, if you extrapolate from the “We Buy Ugly Houses’ adverts and similar proffers. Possibly, a portion of the housing market has started to consider housing a consumable. That means do the necessary maintenance, but do no more. Use it up and spit it out to the We Buy Ugly Houses vultures. I think I considered my own house a consumable about 15 years ago when I stopped doing improvements. No desire to relocate or upgrade, no children, no heirs. So, what’s the point? I’m not in the real estate biz. Perhaps I’m like the unenumerated shadow unemployed… those who gave up on finding a job. I long ago realized there must be others like me, who gave up on real estate. It always has value, but it can depreciate. Recovery? Yeah right. While you’re waiting, go fly a kite. You’ll feel better and you won’t have to watch the economic debacle. I think you said it all very nicely. Thank you I enjoyed reading your comment. You are a smart man!!. Home is a byproduct of scoeity. It can’t grow by simple credit if the borrower has no need of it for some reason. I agree with most of what you say except that housing starts are necessary for a recovery. Part of the problem with excessively accommodative monetary policy and the government pushing low interest debt is that it encourages malinvestment. You can have a recovery where people make things and buy and sell things that are necessary and/or that people want as opposed to something we apparently have too much of right now, which is housing. To look at the wreck of an economy we have right now and say, housing starts precede economic recoveries and so we should build houses regardless of whether we need more houses right now — from the perspective of household formation compared with the number of people downsizing/retiring/dying — is a recipe for more problems. The thing that the economist and the system of finance capital that employs them like about housing is that people tend to borrow a lot of money to buy stuff when they “buy” a house. Whether they really wanted to do that is unclear. But when a person takes out a big loan to buy a house, the next thing they tend to do is to borrow and spend a lot more money after that on paint, remodeling, furniture, electronics, all sorts of stuff to fit into the psychotic illusion that is the vision of themselves manifested as image, as an advertisement frozen in time. I’m not sure that is a good thing. A real capitalist economy (something we have never had in the United States) has a lot of destruction periodically because of malinvestment, but the level of malinvestment you get in a real capitalist economy is likely orders of magnitude lower than what you get in a fascist system like we have in the United States where business and government interests are intertwined and the government acts as a sort of finance, marketing, legitimation and PR agent for private industry. Thank you Sean! All views are important as we feel our way thorough this mess. Thank you. Why does it seem that American society is in decline, that fairness and decorum are receding, that socialism and tyranny are becoming malignant despite the majority of the public being averse to such philosophies, yet the true root cause seems elusive? What if everything from unsustainable health care and social security costs, to stagnant wages and rising crime, to crumbling infrastructure and metastasizing socialism, to the economic decline of major US cities like Detroit, Cleveland, Pittsburgh, and Baltimore, could all be traced to a common origin that is extremely pervasive yet is all but absent from the national dialog, indeed from the dialog of the entire Western world? Thank you Raj for the comments and link. Greg, I threaded through the replies and while folks understand things aren’t coming back for housing, the real reason is missed. I left the DC area for the Boston region 9/2009. Throughout 2002-2006 everyone was telling me to buy, buy, buy. I did not believe in the economy even in the Washington DC, especially after Katrina in fall of 2005. 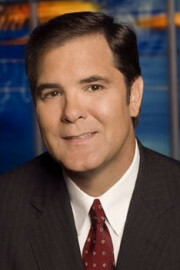 The high gasoline prices tipped everything over and the foreclosures, defaults and crash began. I moved up to Boston in 2009 after inheriting a substantial estate and figured I’d buy a home up here. I’m still renting. The taxes, upkeep, insurance and mortgage (even at these interest rates) make buying in the current falling value-environment a preposterous notion. What’s that leave us with, other than the economy, to explain the refusal of the market to recover? Demographics. The WW2 generation literally bred their own appreciation into their homes by having lots of kids. The baby-boomer generation? 2.1 kids, barely enough to replace population, let alone generate a real estate market. Plus, the boomers exported all our industry, turned the lower-skilled half of the country into unemployed neer’do wells, and here we are, right where George Will and Buchanan said we’d be 25 years hence. A depleted, non-producing economy that out-smarted itself. We have a population that from the bottom 1/2-2/3 of 300 million citizens that can’t afford a home, have no jobs sufficient to pay these prices and costs. The greatest prediction I ever heard going back to the late 70’s was that GM and Ford and Chrysler should be careful about exporting too many manufacturing jobs away from the U.S. because before long, the folks that would be inclined to buy Chevy’s, Fords and Chryslers would no longer be able to afford them. Demographics. You can’t get around them. We have homes and capacity for lots of people and only had few compared to our parents. And so it goes. Housing can’t recover. Only the top 1/3 in education and income prosper, the rest of the country is doomed, factors the government and our Presidents ignore in their SOTU pep talks. Enjoyed your appearance on C2c with George last night. John Curtis is typical of the Obama cheerleaders that say, yeah, the economy, banking system and housing and jobs system is trashed, but at least the DOW went up 20 points. Right. The wheels fell off long ago, tank’s out of gas and leaking, tires are flat, but at least the hood is shiny. Fair assessment? Yes James Christian. That is a fair assessment!! Thank you for adding to this post. I bought a house using one of those 8k incentives(plus some of my own $$).I have a 5.25 30 yr of 250000k mort.I expected a 30% decline in the “value” of my house when I went into it.I have not been disappointed. Renting is a no win situation no matter how you look at it.I bought a place to live in not a “investment”.Frankly,I would not be surprised at further decline of 30-50%.I have a Silver dime that says I’ll payoff and enjoy my home while everyone is running around trying to find a “safe haven” for their investments.There is no such thing!If I am forced by the Bankers out of my house(it might happen)then the total collapse of the American Empire will not be far behind me.Any Takers? Sounds like you have a clear plan. I hope you do well. Thank you for your comment.